The hall is filled with around 15 hooded figures, their faces covered by corrugated steel masks and with hands clasped tightly around the hilt of their weapons. A call echoes around the walls and the dark figures begin to strike artfully, gliding past each other as they do so. Another loud call reverberates and the fighters stop suddenly and listen for their next instruction. The hall in question is, perhaps surprisingly, the Royal College Gym, where Strathclyde’s Kendo club train every Wednesday. Kendo translates as ‘Way of the Sword’ and is a Japanese martial art practiced with bamboo swords and protective armour and different striking techniques are learned and employed to score points against your opponent. The synthesis of physical and mental training results in an extraordinary martial arts discipline, which has spread globally from its Japanese heritage and is growing in presence over the world and noticeably across UK universities. The club is run by Robert Henderson who has studied and practiced Kendo for over 18 years and has been imparting his knowledge for over a year now at Strathclyde. Kendo’s ability to train mind, body, and in some sense spirit are undoubtedly what make it attractive for its practitioners. A few of the members I spoke to lauded it’s fantastic ‘de-stressing’ and ‘focussing’ qualities, another girl talked about how her fascination with Japanese culture got her involved. There were different levels of ability in the training hall and aside from those in armour there was a subsidiary novice class taking place at the same time, all under the instruction of the coach who Daniel described as “involved at the national level, and being a fantastic instructor”. During February Strathclyde entered the 2014 University Taikai in Kent. Competitors made the trip down to test their training against numerous top British Universities and although no silverware was won, the trip signified the intent and desire of a club still in its infancy. Daniel encouraged anyone who could be interested in trying Kendo to get in touch and do so with the club catering for complete beginners. 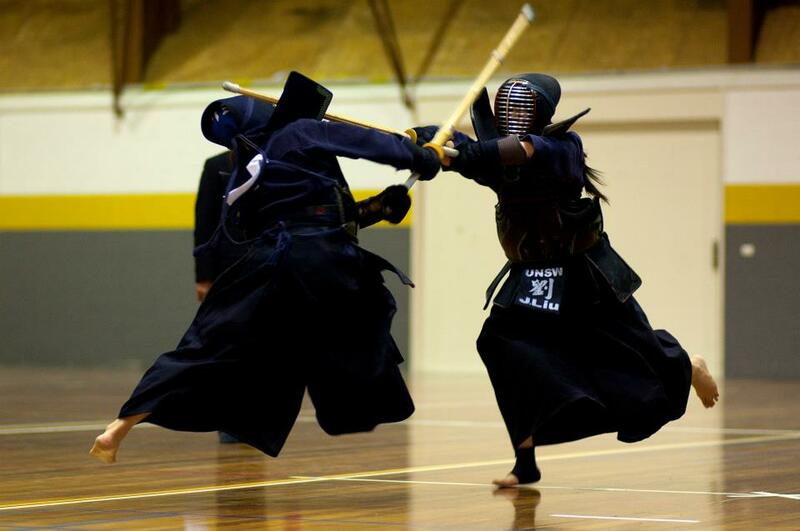 The University team already comprises around 18 members, who are learning new techniques and practicing every week; if you think Kendo would interest you then the club welcomes everyone with enthusiasm and interest in this unusual, but fantastic sport.